Experience the Best Tandem Ride Ever! 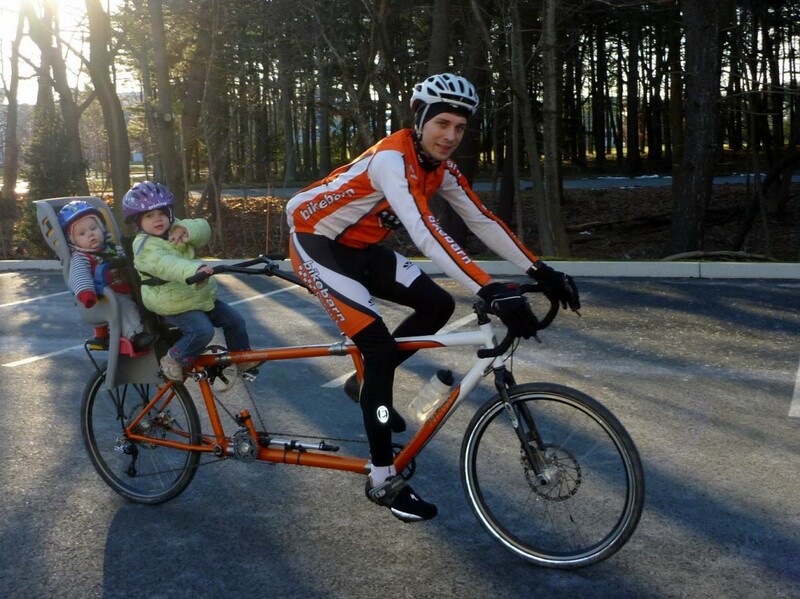 A 20 minute ride on a da Vinci tandem bicycle will change the way you think about tandem riding. The da Vinci patented Independent Coasting System allows either rider to stop pedaling at anytime without affecting the other rider. 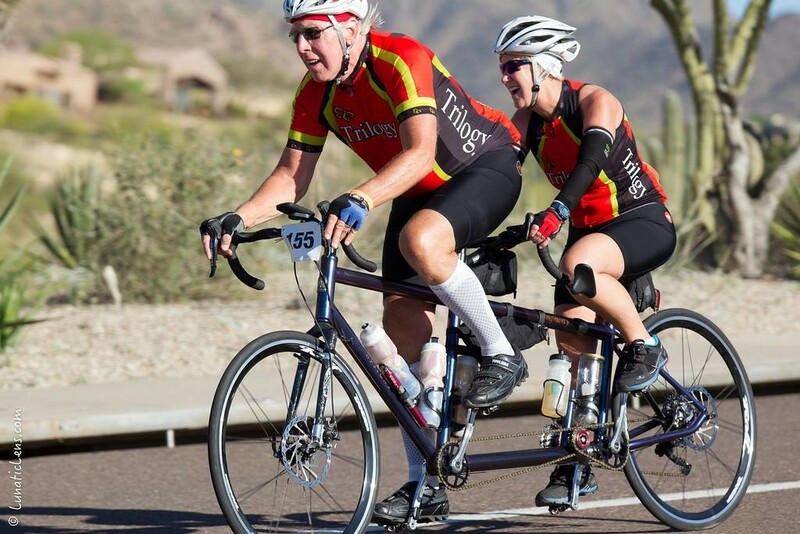 The ability to coast independently makes riding a tandem far more natural and enjoyable for both the new enthusiast and the veteran cyclist. It is not uncommon to spin out even the highest gears on a tandem, but you need those lower gears for climbing! Problem solved – the Independent Drive mechanism doubles the range of the front chainrings which gives even the most aggressive tandem duo all the gears they need. With four front gears and eight in the back, you have a total of 32 possible combinations. The smooth transition of a narrow six tooth gap of the four Hyperglide front driving gears found equipped on da Vinci tandems eliminates the clumsy front shifting on conventional tandems with a minimum twelve tooth gap. 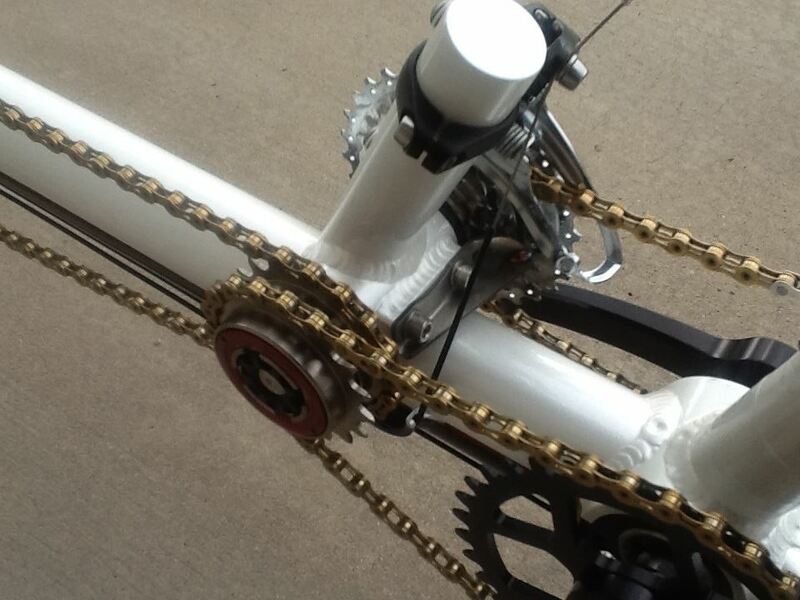 The raised location of the intermediate shaft and smaller driving gears greatly reduces the risk of snapping the cross-over chain or bending chainrings. So go ahead and take the da Vinci tandem anywhere! The Independent Drive allows the use of a child adapter without the heavy, complicated layout of additional cranks, chainrings, and chain. For years of trouble-free riding. With a commitment to design function over normality, we take a “drawing outside the chalkboard” approach to designing and specing our tandems. The end result is a bike that is stiff, light, comfortable, responsive, shifts like a single bike, has a range of gears all tandem teams dream of, and you can each coast when you please. Using proven geometry and the highest quality hand picked tubes, we are confident that our frames rate with the best high end tandems in the industry. We have hand selected every component on the bike for strength, function, and weight.